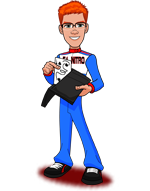 Today, when you order "F1 NITRO Wallet by Jason Rea", you'll instantly be emailed a Penguin Magic gift certificate. You can spend it on anything you like at Penguin, just like cash. Just complete your order as normal, and within seconds you'll get an email with your gift certificate. - It's time to unleash the power!! For the past year, Alakazam has been working on this new breed of wallet. They started by taking Jason Rea's best selling F1 wallet stripping it back and giving it a total make over. By sourcing a higher grade of leather we have given the F1 Nitro a more luxurious look and feel. 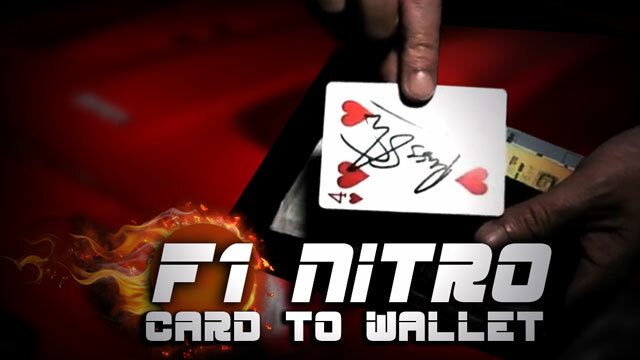 The F1 Nitro wallet comes complete with a full in depth online training video, where Peter Nardi takes you step by step though his personal handling & Multiple high impact routines. The instructional download is crammed to the brim with High Octane Routines. including Peter Nardi's Phantom Card (plus bonus ideas). Peter's Thought Of Card In Wallet & 3 Play. There are well over 10 mind blowing routines described in the online video as well as ideas and thoughts on the Peek, Index & Out-To-Lunch Sections! 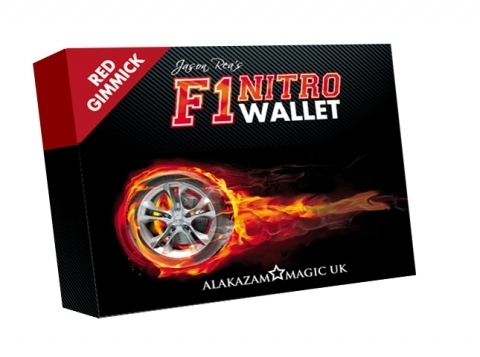 The new F1 Nitro is a true utility wallet that is only limited by your imagination. allowing you access to features never normally seen together in one wallet. It's so versatile that your mind will overflow when you realize the possibilities. I am very pleased with this wallet for its ability to quickly perform a very user-friendly, quick card to wallet. However, the craftsmanship of the gimmick is less than amazing. I should never see scotch tape or duct tape on any gimmick I purchase (not the wallet itself). Also, to keep a section of the wallet closed unless intentionally opened there are exposed strip magnets that are sewn to the face of the wallet. This is unsightly, and this is a surface that will be seen by the spectator if you choose to use this section of the wallet as part of a performance (for certain routines). The deck portion of the gimmick requires some concealment. Poor craftsmanship makes mine a bit uneven, making it difficult to completely square the deck. If the deck was sitting flat on the table, it woudn't look completely normal. Again, the wallet is great and works very well, I just expected each of the added gimmicks to be "built in" rather than "added on." I looks like they found a suitable wallet and just "transformed it" into what they needed. I wish I knew that the bill section of the wallet was partitioned off so that bills cannot remain unfolded in the bill compartment. Mesika, infinity, Jol billfold, jol ez wallet small, real mans wallet, mark masons mirage , hip pocket mullica and this list goes own. I am on a quest to find the perfect card to wallet , I hate fumbling around with unnatural moves. I will first say that this is the fastest card to wallet, the craftsmanship is excellent I still consider the jol line to have the nicest leather but this is very good quality and has other cool features that are great for mentalists. I am sure this is not my last wallet purchase but it is my favorite, and is great for beginners. Watch the DVD and give this the practice that is due. Ps: the other wallets that I own are unique in their own way and most are very good but this is my favorite, also look into the infinity wallet as it is a different wallet but great as well. First, it's a high quality wallet. As far as I know, it has all the mentalism features of the Stealth Assassin wallet, and then some, so it's very versatile. 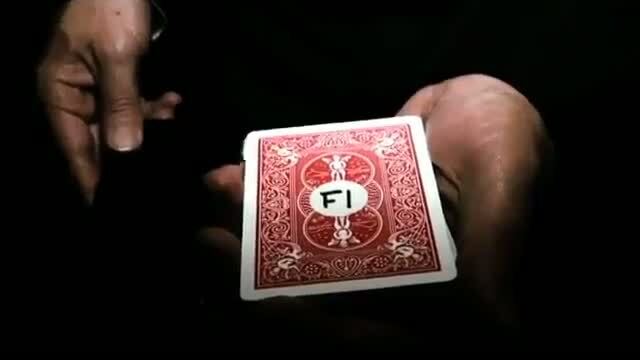 The card loading gimmick is super fast, easy and almost unnoticeable so it's probably the best wallet for card to wallet tricks, of which there are many various routines on the DVD. I probably have 3 or 4 favorite routines that I use out of the 10+ taught on the DVD. In some cases you'd have to set the deck up a bit, and you generally can't use the same deck for the Phantom as you would for the standard routine or others, FYI. My one issue with the DVD is that he goes into very little detail about routines you can do with the mentalism features. But if you watch routines from other mentalist wallets, you can probably figure them out as you know the wallet's features. Also it would've been nice to have more billet indexes and slots, and I'll probably still use my money clip to hold my cash and credit cards. If I jam all that with all my tricks into this wallet, it would get WAYYY too fat. But overall, excellent product, and this wallet would be very hard to improve upon. I just recieved it and watch the video...wow! 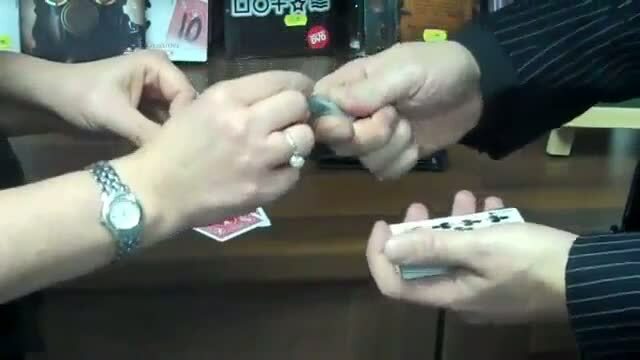 This is one amazing piece of magic wallet trick. The chosen card disappears and is found in your wallet can't get any better.The explanations on the video are great and easy to follow. This is one wallet you do not want to lose. Get it right away and you will be amazed. I highly recommand it to all who love to do easy amazing magic. I call this trick easy because it does not take too much practice and it again so amazing. I love it and the price is resonable. So fellow magic amigos-get it right now!!! I'm a wallet fanatic and I must say, this is the best and fastest no palm wallet that's ever been released. You can load a card invisibly in a split second into your wallet. I am a complete beginner in magic with few sleight of hand skills and am slow to learn them. I am so grateful for the F1 NITRO: it's simple concepts are brillianty executed. It can make even a low to no skilled novice, like me, a draw-jopping performer. The DVD teaching is great and fun and the wallet is pretty nice. Although I said the concepts that make it work are "simple" that doesn't mean that they were simple to think of, just easy to understand once you see them. Any questions a spectator may have as to why you might briefly hold the wallet in a "taught position" are erased when you unzip the zipper and out comes their card. The reason I gave 4 stars though, and not 5, is that the lighting on the DVD is a bit dark and you can't clearly see the features of the wallet being pointed to so I had to kind of guess my way through some things. Also, I wish the wallet was just a bit more...ummm...wallet-y :) meaning that I wish the leather was just a bit higer grade, although it IS a nice wallet. All in all, a great great buy! J've never had a magic wallet and I must say that this is just great.